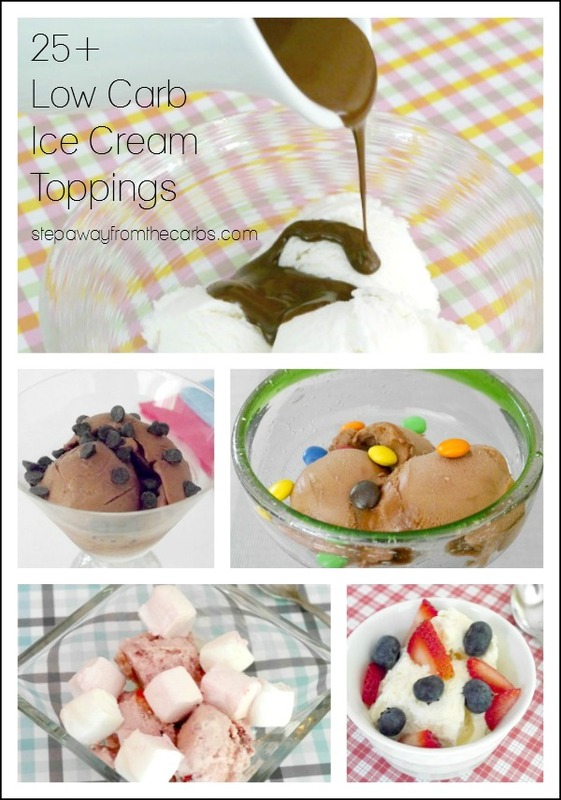 Check out these low carb ice cream toppings – an awesome list of over 25 indulgent treats that don’t break the diet! 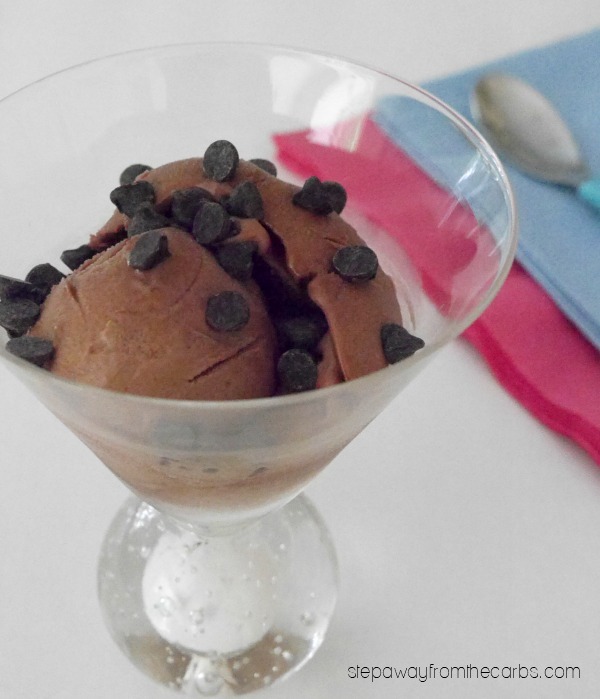 Have you found the perfect low carb ice cream? Brands such as CarbSmart from Breyer’s are pretty good – and I also enjoy the Arctic Zero frozen desserts. 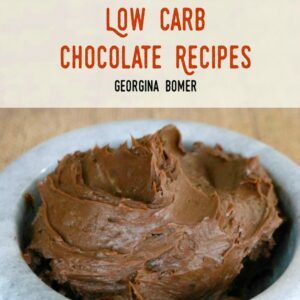 There are also some great recipes around! 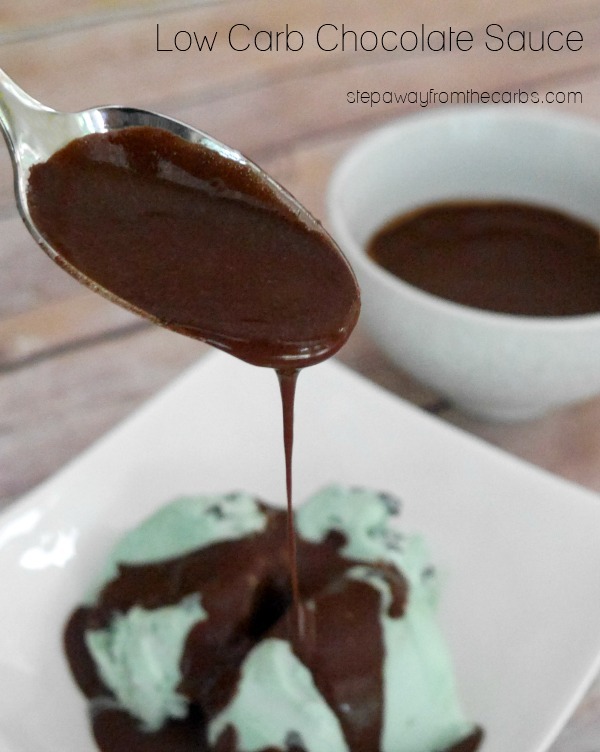 I’ve previously shared my amazing Mint Chocolate Ice Cream and I even have a whole Pinterest board dedicated to Low Carb Ice Cream and Popsicle recipes! Or how about an ice cream mix? This chocolate ice cream mix from LC Foods or this soft serve ice cream mix from Dixie USA are definitely worth trying! 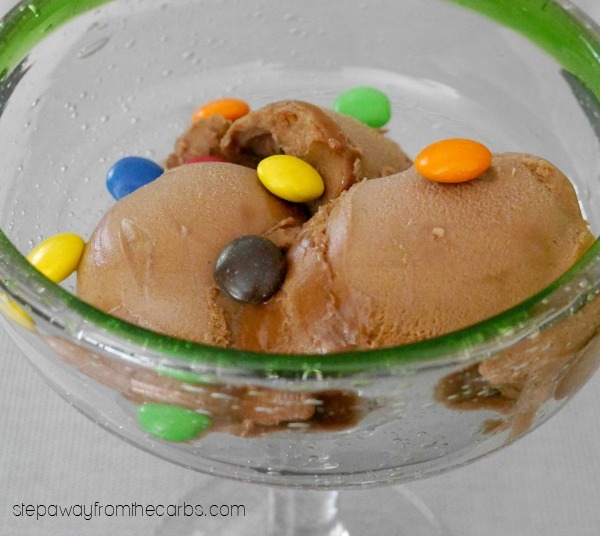 But if you want to make your ice cream extra special you need toppings. Sprinkles, fruit, chocolate, candy, sauces – here are all the ideas you’ll ever need! Sugar Free Peanut Butter Candy – smash these up for an amazing topping! Make your own zero carb gummy treats! 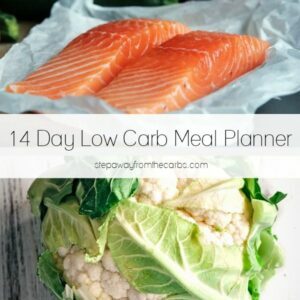 Low Carb Marshmallows! Make your own or try these La Nouba ones (pictured below with Low Carb Strawberry Cheesecake Ice Cream). Available from Netrition or Amazon. How about low carb granola?!? I love this granola from Lolli’s – available in three different flavors. 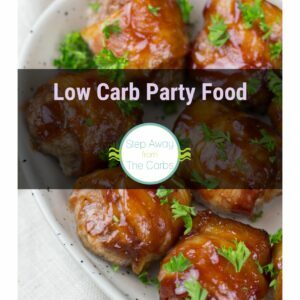 Try some low carb hazelnut spread or make your own from this recipe from Desserts with Benefits! Do you remember Magic Shell from your childhood? 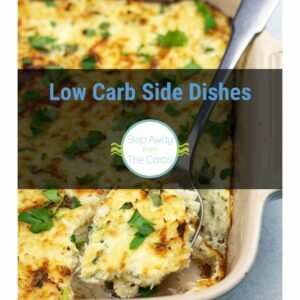 Make your own low carb version! Recipe from Holistically Engineered. 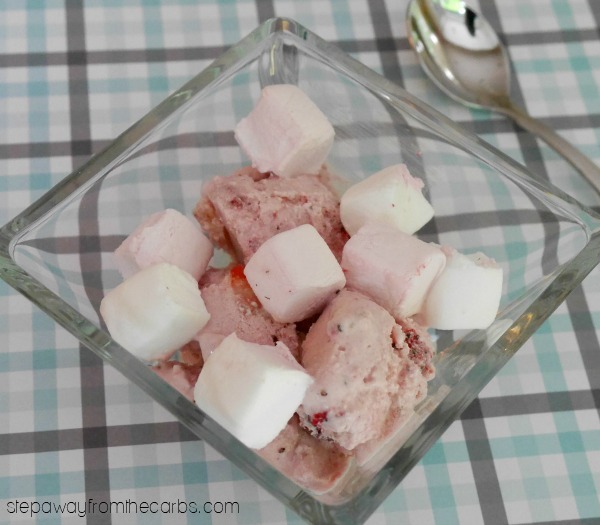 Marshmallow Cream Mix from LCFoods or make your own using my Sugar Free Marshmallow Fluff recipe! 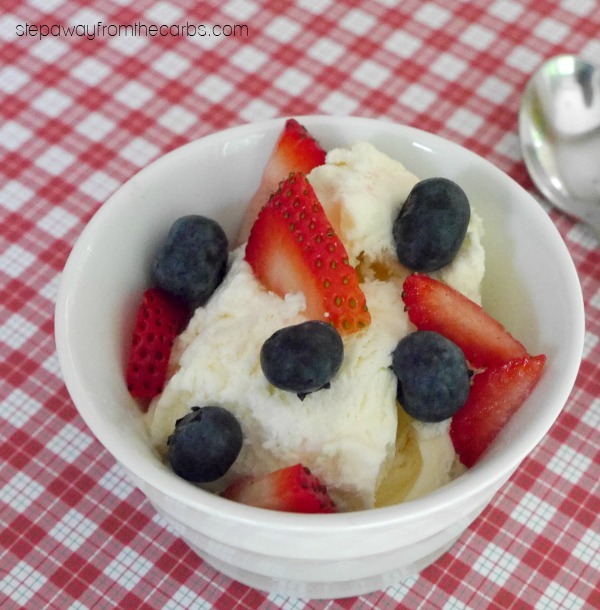 Warm white chocolate sauce – yum!